Sweet Gecko: SWEETGECKO TUTTI-FRUTTI LOLLIPOPS – FOR EVERYDAY SPECIAL MOMENTS! SWEETGECKO TUTTI-FRUTTI LOLLIPOPS – FOR EVERYDAY SPECIAL MOMENTS! Are you planning a colorful celebration, but still undecided what to serve for your sweet tooth guests? Look no further! Try Amazon’s best selling ★SweetGecko Tutti-Frutti Lollipops Value Pack★ and let the party begin! These yummy treats are available in two enticing flavors, lemon and orange, that will surely satisfy the sweet tooth in you. Need to have a sugar rush? No worries! A single order brings you a box of 50 sweet lollipops! 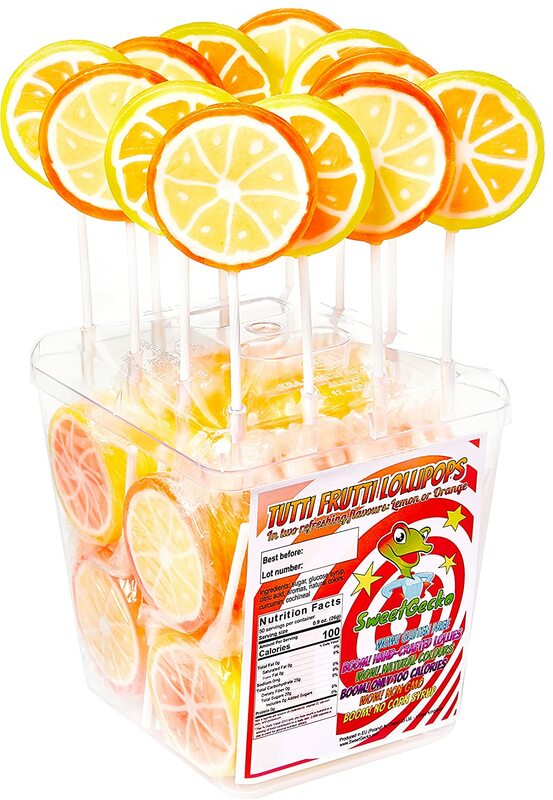 SweetGecko Tutti-Frutti Lollipops are perfect for birthday parties, reunions, homecomings as wells as family bonding moments. These refreshing lollies are handcrafted with every member of the family in mind, so it’s good for all. Still having doubts whether to grab a box of SweetGecko Tutti-Frutti Lollipops? Wait, there’s more! SweetGecko Tutti-Frutti Lollipops are made in Europe by using the best ingredients with no artificial coloring, corn syrup, gluten and genetically modified organisms (Non GMO). Each serving only gives 100 calories, so you can enjoy a healthy, guilt-free snack time. These candy lollipops are individually wrapped with a white plastic stick to ensure that there will be no paper left after sucking this mouth-watering treat. SO, WHY WAIT? CLICK “ADD TO CART” BUTTON UP THERE AND GRAB YOUR SWEETGECKO TUTTI-FRUTTI LOLLIPOPS 50 PIECE VALUE PACK TODAY! SWEET AND REFRESHING. Celebrations make colorful and unforgettable memories. 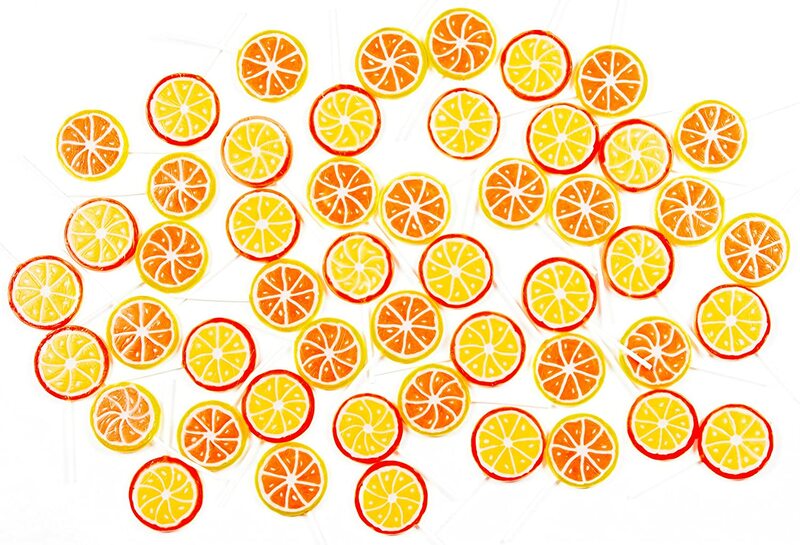 So take every moment to the next level with enticing colors and refreshing lemon and orange flavors of SweetGecko Tutti-Frutti Lollipops. HEALTHY OPTIONS COME FIRST. Sweet treats always come in bright colors and refreshing flavors, but they should not include harmful ingredients. 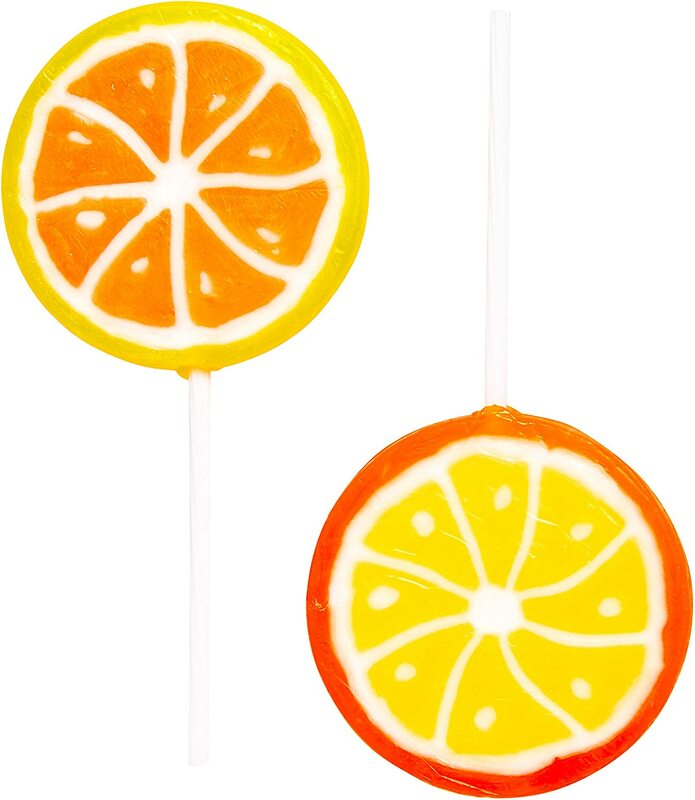 SweetGecko Tutti-Frutti Lollipops have natural colors and are gluten free, nonGMO, and no corn syrup added. BEST TREAT FOR EVERYONE. 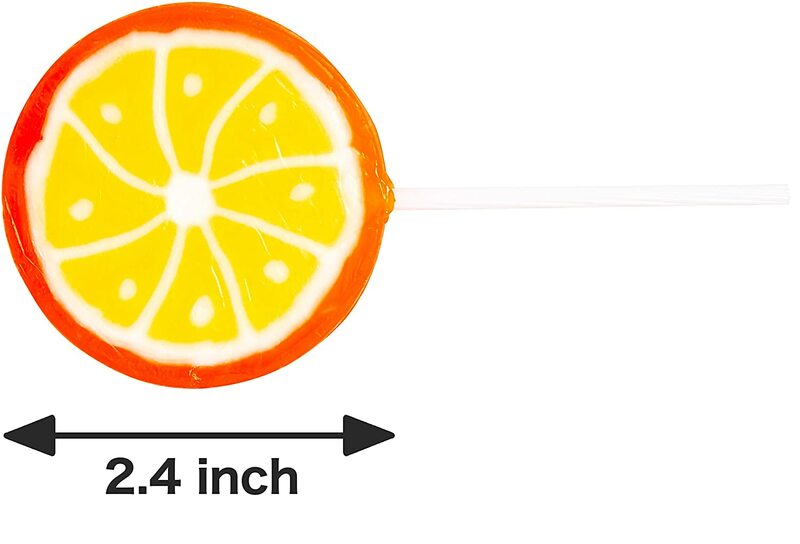 These 26g (0.9 Oz), 2.4 inch lollipops are handcrafted and look as good as they taste. They are a fun treat for little kids, young and adults alike. PERFECT FOR EVERY OCCASION. SweetGecko Tutti-Frutti Lollipops are definitely a perfect gift, party giveaway or game prize for different celebrations. Also, they are ideal to celebrate birthdays, school or office events and a perfect travel snack. 100% QUALITY GUARANTEED. Our fruit lollipops are made in Europe with tight quality control process to preserve their natural flavors and deliciousness. Each pack contains 50 lollipops, so keep some of them in your car or purse and enjoy your time. Sweet Gecko. Simple theme. Theme images by latex. Powered by Blogger.